Himalayan Secret Teaching is secret teaching which has been handed down by word of mouth to only a limited number of disciples for more than 5000 years. It is teaching to develop a gift, teaching to dissolve suffering, wisdom to draw out divine nature, teaching to evolve people to their best being, and it also includes secret teaching of immortality and enlightenment. You can learn this secret teaching, which has not been open to the general public, from a direct descendent, while you are in Japan and in Japanese. The most important practice in Himalayan Secret Teaching is meditation. This meditation alchemy is initiated through a ceremony called Diksha. There are a countless number of alchemies of meditation, which will be taught depending on your level. 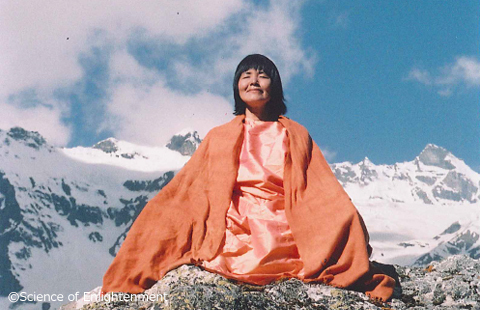 Along with the practice of meditation, by learning wisdom from Yogmata’s books and lectures, and taking a course for awareness, you can directly, or indirectly, receive high dimensional energy from an enlightened master and cleanse karma. Furthermore, through donation, supporting people’s happiness around you, taking action for world peace in a positive way and accumulating virtues, you can improve your life. 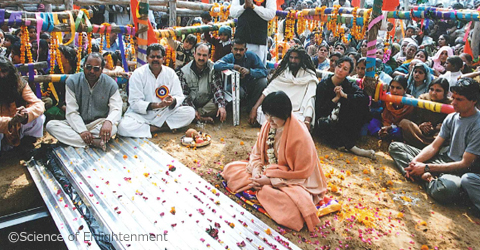 Various courses are offered, not only at the Tokyo ashram but also regularly in regional areas of Japan. By practicing, you can develop potential and solve your issues. For example, you can enhance memory, concentration power and intuition, improve relationships, release stress and anxieties, increase immune function, promote health and anti-aging, and you can live happily in peace every day. Your life will lead to success, you can follow the road to enlightenment at the quickest pace, and grow yourself into the best being. If you meditate, on your own, you might activate negative energy which resides in your subconscious, have trouble in controlling your body and mind, and some people fall into hallucinations and delusions. 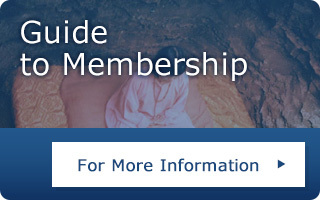 Having the guide of a Siddha Master, you can practice meditation in a safe and peaceful way. Even if you fall into hallucinations and delusions, you will be brought back to the right state by high dimensional energy of enlightenment. As you will have a guide, depending on your individual level, everyone from small children to 90 years old can effortlessly practice the teaching at home.